People thought the 30-second clip looked just like an intro to a new animated Disney movie. Eddie Gault is researcher with the Australian Antarctic Division in Antarctica. Recently, he was working when he plopped his camera down on some ice. 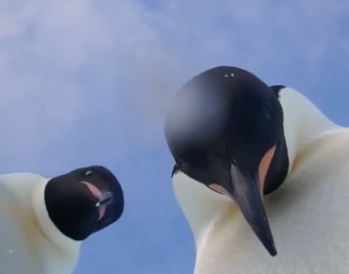 Two curious emperor penguins quickly waddled over to it. 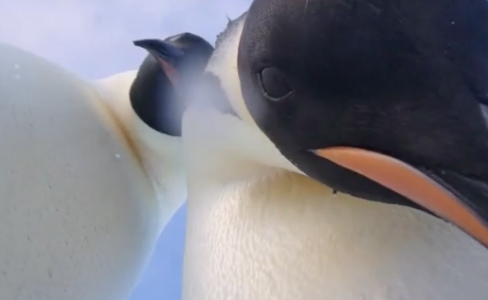 The two penguins caught themselves on film. The footage Gault and Australian Antarctic Division researchers discovered afterward is both darling and hilarious. Or a ’90s hip-hop album cover. Or just my grandparents relearning how to FaceTime me every time.